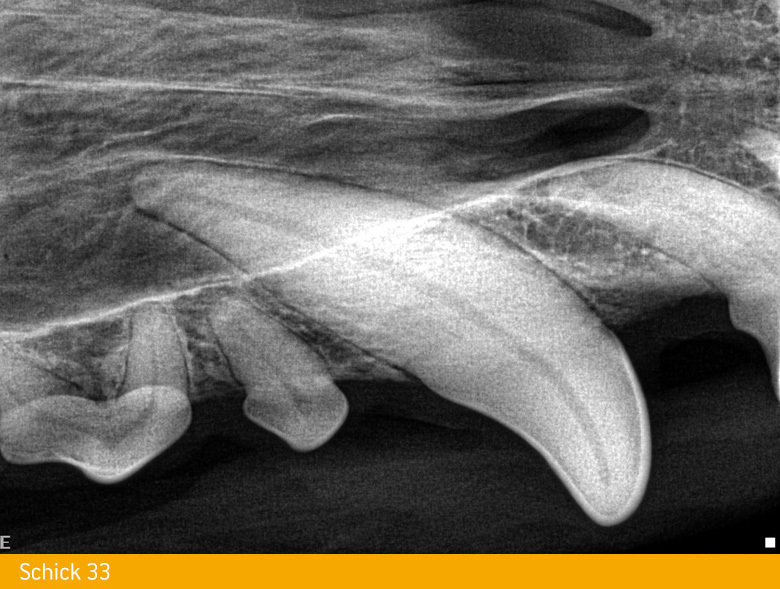 A good companion for any practice, Schick 33 provides high-resolution intraoral radiography for the high-quality veterinary dental care that today's pet owners demand. 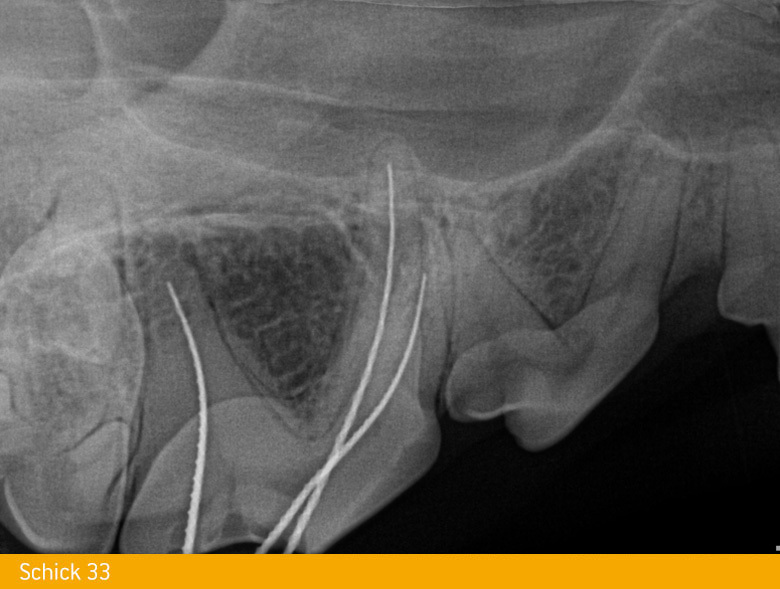 Sirona Dental's premium sensor, the Schick 33, offers veterinarians an unrivaled level of image quality with industry-leading 33.3 lp/mm theoretical resolution. Available in three sizes (0, 1 and 2) and three sensor cable lengths (3', 6' and 9'), the modularity of the Schick 33 is available in a configuration to suit your needs. Schick 33 sensors are constructed out of advanced plastics for maximum durability. Additionally, every new sensor sold includes a spare cable to mitigate against any downtime that results from accidental damage to the sensor cable. The Schick 33 offers users unparalleled levels of image manipulation. Beyond adjusting for contrast and brightness, the Schick 33 lets you view images with varying degrees of sharpness and with four diagnostic settings (General, Periodontic, Endodontic and Restorative). Accommodate a full range of patients. All three sizes (0,1 and 2) available in Schick 33 sensors. Diagnostic tasks aren’t all the same, so why should your images be? 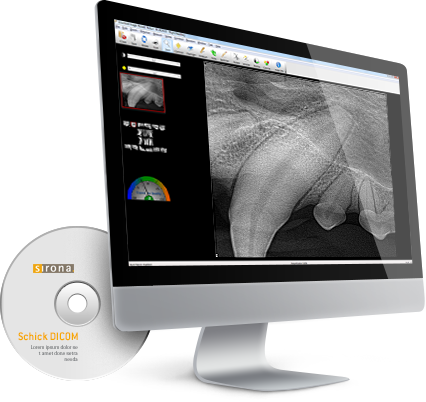 With task-specific mapping features, Schick 33 lets you assign presets for general dentistry, endodontics, periodontics or restorative dentistry settings. 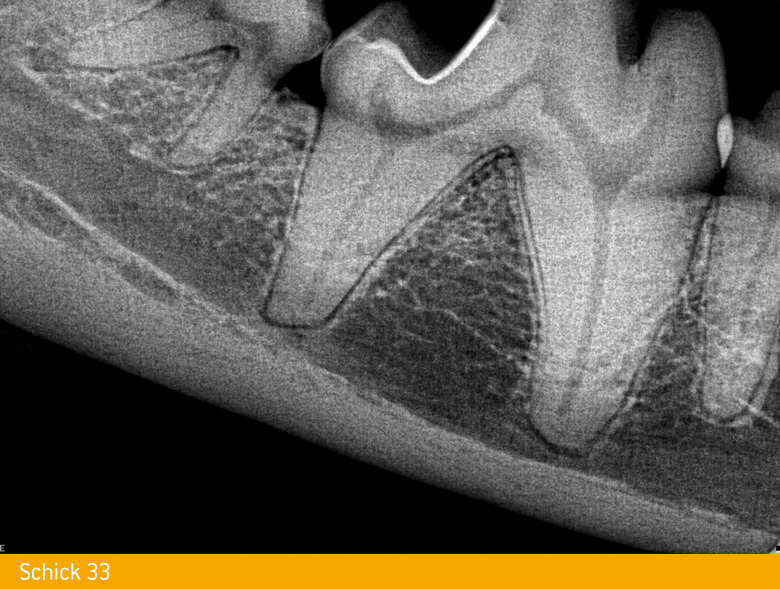 Make dentistry’s highest-quality digital images your single best diagnostic tool. Paired with powerful image management software, Schick 33 allows you to quickly and easily adjust image sharpness precisely to the level you need. 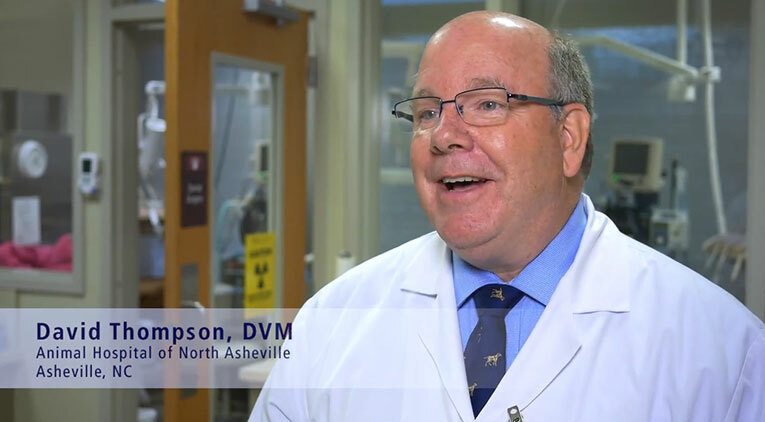 Ask any practitioner who has made the switch and they’re likely to tell you the same thing: “Digital radiography is one of the best investments our practice has ever made.” Why? Hear it firsthand from these professionals. 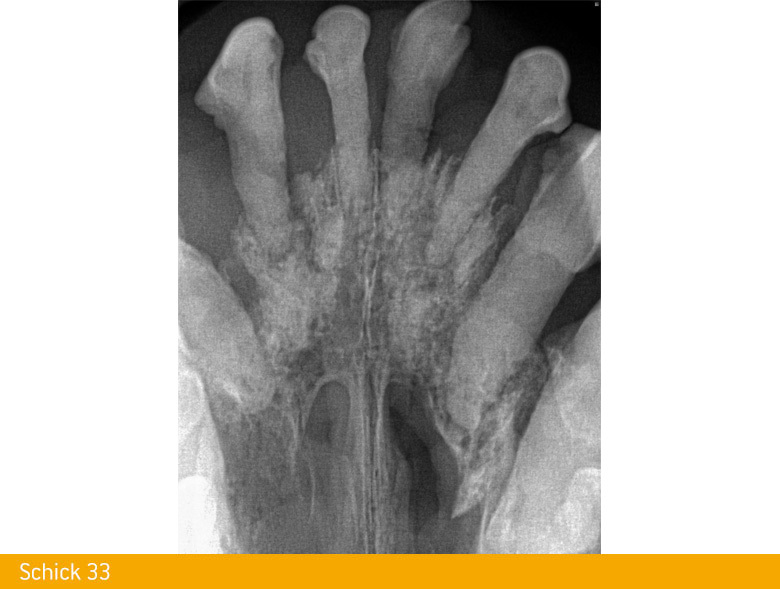 The software that’s behind great radiography.